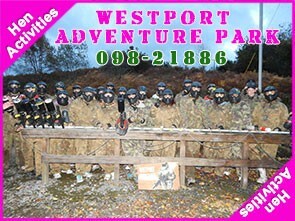 Westport Adventure Park “Voted The Most FUN Business In Westport!” & “Voted Best Group Leaders In Westport!” Westport Adventure Park is the only location for your adventure….we are constantly upgrading our facilities to guarantee an action packed day of Fun and excitement you can’t get anywhere else! Bubble Soccer is the new craze to sweep Ireland…Whoever thought of spending a couple of hours inside a massive inflatble Zorb whilst attempting to play five a side Soccer?? 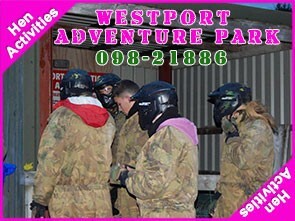 Zorb Wars at Westport Wargames is the funniest way to spend an hour or two! It’s as hilarious to participate in as it is to watch….Anyone 1.3m in height or more can join in the fun, bouncing and rolling around that is all part of Zorb Wars! Suitable for all groups from Birthdays, Schools, Clubs, corporate outings, Hens or Stags, we can help you arrange the best activity ever…. 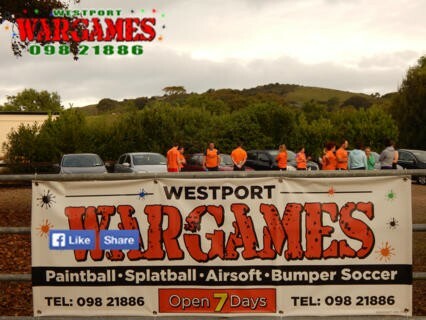 Groups of 6 or more can take part in a selection of games our team will organise for you. There is no special equipment needed-only a pair of runners and a great sense of humour!